Indie Retro News: WinUAE 3.6.1 - The best Amiga Emulator gets another feature final! 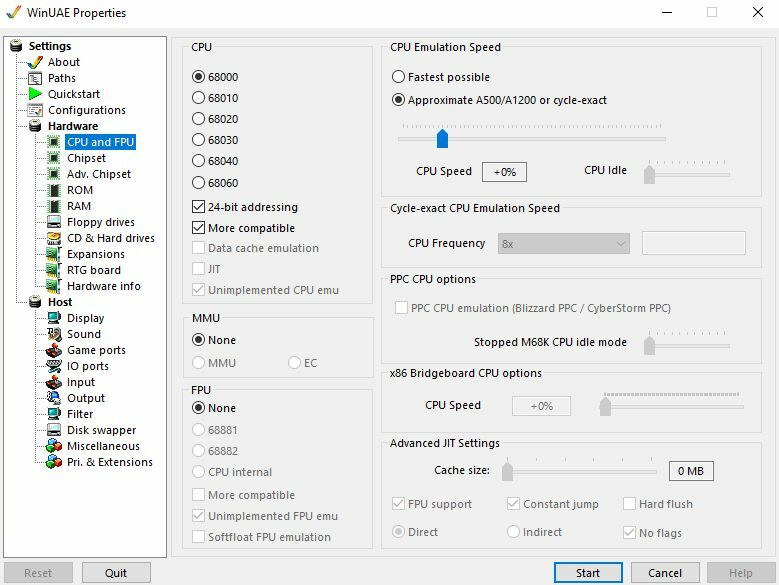 WinUAE 3.6.1 - The best Amiga Emulator gets another feature final! Yet again after lots of beta updates and soon after 3.6.0 was released in Jan, we have just been told by by Guitar Anthony that Toni Wilen has released a brand new WinUAE version 3.6.1, much to the excitement of the Amiga community. Many of us thought that 3.6.0 would be enough to keep us going through the entire year, but not so, as with 3.6.1 comes new fixes, features and expansions! Basically another great edition for the best version of the Amiga emulator! - Crash when running on first Windows 10 release version (build 10240) . - D3D11 mode fullscreen to/from windowed mode change crashes/blank screens. - D3D11 mode on screen leds on the fly on/off switching. - D3D11 mode screenshot via GUI button didn’t work. - Floppy sound type selection was not loaded correctly from config file. - It was not possible to create "DOS" file names like "AUX" to directory filesystem. - Floppy sound used incorrectly empty drive volume level in certain situations. - PPC emulation interrupt handling rewrite, fixes for example hang/crash problems with NE2000 based network adapters under OS4. - Not all Advanced chipset options reset when compatible checkbox was ticked. - Autoscale ignored small vertical display areas in very top of display in some situations. - Fixed random crash when at least one Input panel custom event string was set, Restart was clicked and then emulation was started again. - Blizzard SCSI Kit IV (possibly others) SCSI phase error in certain situations. - Added better validation to clipboard sharing IFF parsing to prevent crashes if data is truncated. – -joyport2 -config entry incorrectly used port 3 slot. - Game Ports panel selected Custom input mapping reverted to none in some situations. - Restart didn't completely free configured emulated network cards. - Other misc bugs fixed. - OCS/ECS only BPLCON2 undocumented feature: "illegal" PF1 or PF2 value is now accurately emulated in dual playfield mode. - If selected D3D11 fullscreen refresh rate is "default": always prefer highest supported refresh rate. - Optional threaded emulated RTG VRAM to host OS surface color space conversion/copy. - Added "Identity" checkbox to Add harddrive panel. If ticked and ATA identity can be read (Direct IDE connection, compatible USB adapter): real ATA identity data is used in emulated ATA device instead of generic UAE generated and drive appears exactly as it does in real hardware (identical name, geometry etc). - CHS-only IDE drives can now be mounted in emulation and they appear with real size and geometry when using USB adapters that allow identity read but does not support CHS (for example common JMicron based adapters).